A black and white portrait photograph of Donald McKay. Donald McKay was born in 1837 in Glengarry County, Ontario. He was educated at upper Canada College in Toronto and taught school in Markham Township for several years. Later he was a storekeeper in the northern part of Ontario County. 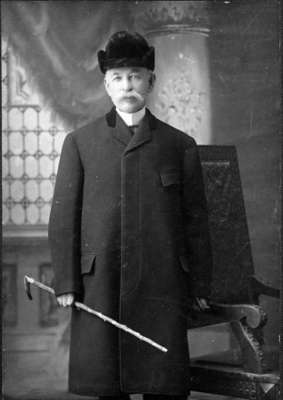 He served as Ontario County Treasurer from 1890 until his death at Whitby on May 13, 1914. Donald McKay is buried at Union Cemetery, Oshawa.